Marrakech is now easily accessible and offers excellent value for money. Many of the low cost airlines are flying here from local airports around the UK and Europe. Easy-Jet have flights from just over £100 return from Gatwick in April 2016. With a flight time of around 3 and a half hours one could even fly to Morocco for a long weekend. 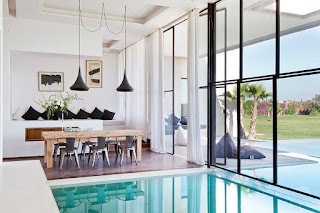 Holiday villas or Riads as they are called in Morocco offer the best experience for a trip to Marrakech. The majority of riads come with their own housekeeper included in the cost, a truly great way of experiencing traditional and authentic Moroccan food, freshly prepared for you after a day exploring or relaxing by the pool. One may think it is a little extravagant having your own housekeeper, however it need not be expensive as you can rent a Moroccan villa from just over 1500 Euros per week and it can sleep 8 people! If you are thinking of renting a villa or riad in Morocco, you could choose to be near to the Medina (central Marrakech) on a development with a shared pool, or an exclusive, luxury designer villa, South France Villas has one that sleeps 10 people in the most beautiful suites, has an indoor/outdoor pool, own housekeeper, car included and costs only 500 euro each for a week! Modern, Traditional we can find you the right holiday villa. European visitors, luxury boutiques, modern trendy restaurants and bars can now to found amongst the traditional Moroccan cafés. Here you can see the elders chatting, playing cards and smoking whilst drinking a strong coffee or a mint tea. On your last day sit outside the Café Poste and take a moment to relive your favourite memories of your stay in Marrakech. souks (enormous market) on arriving at the huge square you will find official guides who will show you around for a small cost, otherwise it is extremely likely that you will get lost, and hold your children's hand as many of the stalls look the same so it is not easy to find your way around, very good fun though as it is almost like being in a maze! The guides will take you to their friends stalls, but do always check the stalls next door, and you must haggle every time as they really do expect you to. Leather goods, kaftans, jewellery and of course a magic carpet are all excellent buys. Be prepared to sit down and drink some mint tea with the shop keeper and let them practice their English. The food market is not for the faint hearted with live chickens etc for sale. A visit to the Jardin Marjolle should also be added to your agenda, It is one of the most visited places in Morocco. Yves Saint Laurent and his life partner Pierre Bergé bought the gardens and the villa in 1980 to save them from being sold and turned into a hotel. 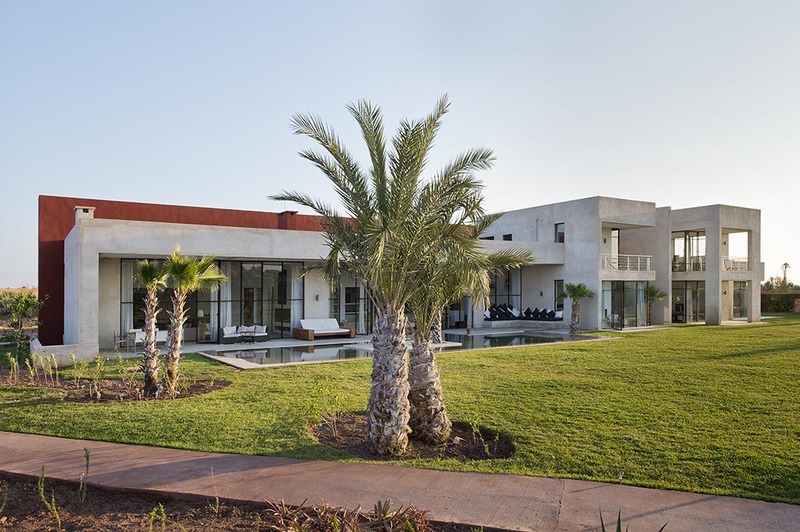 The gardens were transformed and they decided to move to Morocco and lived in the villa. Following Yves’s passing his ashes were scattered in the rose garden and a memorial was built in his honour. The exotic gardens cover over 2 acres, with ponds, streams and fountains that create a haven of serenity. The Atlas Mountains offer an escape from the heat should you be visiting Marrakech in the summer months, the scenery is breath-taking. If you don’t fancy driving there are plenty of excursions or your housekeeper will be able to arrange a driver for you. Many of the riads include a car or a driver and they can collect you from the airport so you don't have to worry about finding your way around when you first arrive in Marrakech. The South France Villas' team have visited Marrakech, so please do not hesitate to contact us for any further information on renting a villa in Morocco, and let us plan your holiday as you would plan your own.